We are proud of our strong Values Curriculum at Bowsland Green Primary School, as everything is underpinned by our School Values. It is a school-wide expectation that every member of our team conducts themselves with pride and role models these values for others. Values-led learning is enhanced and developed through Personal, Social, Moral and Health (PSHE) education but it is interwoven into everything we do in our school community, aiming to have an aspect of spiritual, moral, social or cultural reflection in every lesson. We believe that this deepens self-confidence, appreciation, empathy, respect and understanding of others each and every day. Diversity is truly embraced in our community and we are fortunate to have pupils from 40 different Nationalities in our school family – all having many different faiths and beliefs, and that’s what makes us so special! Everybody is valued and encouraged to share their views and knowledge with us all. Our Values Curriculum complements the ‘Fundamental British Values’ (as described by the Government as: Democracy, rule of law, individual liberty and mutual respect and tolerance). 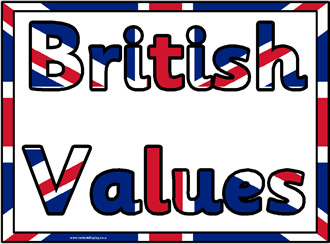 Click ‘British Values’ to see our assembly and Bowsland learning on these values. This definition remains the same in the new standards. At Bowsland Green we believe these values to be fundamental human rights which we actively promote in conjunction with our own school values Honesty, enjoyment, teamwork, pride, respect and responsibility. These values are integral to the education we believe every child is entitled to; it permeates all aspects of school life. Values are taught implicitly and explicitly at Bowsland Green. Below are examples of the ways these are promoted. Daily activities at Bowsland Green – We have school and class rules, voting on class issues, behavior systems such as Good to be Green, certificates, stickers etc. In Key Stage Two children can earn ‘Bowsland Bucks’ and save up to buy items from the ‘Bowsland Buck Shop’. In lessons we promote paired work, group work, taking turns, sharing, tolerance, support, respect and care. These are all taught and modelled by all members of staff. We encourage children to be role models for others and encourage them to actively demonstrate ‘Bowsland Best’ behavior and attitudes at all times. In Year 6 we have house captains who explicitly role model this to the younger pupils. We have an expectation to hold doors, say please and thank you, show consideration and awareness towards others. We formalise this through roles and responsibilities in all classrooms. Year 5 and 6 have a vast array of ‘jobs’ ranging from being a buddy to EYFS pupils, office assistant duties, unlocking gates and monitoring tidiness. We have an environment squad, pupils who ensure we are being eco -friendly and work hard to send that message across the school. We have Young leaders across the school who meet regularly to share pupil voice and a Diversity Council who ensure all children at the school feel valued and all Pupils cultural heritage is celebrated. Behaviour policy which teaches boundaries, recognises pupils fulfilling expectation, rewards those who go above and beyond, and support pupils to improve if they do not live up to the expectation. We believe in justice approach resolution, ensuring that all pupils are listened to, conflicts are resolved peacefully and children have a clear understanding of why their behaviour was inappropriate and how they could manage it differently in the future. We promote mutual respect at all times. Early years where ‘About Me’ style learning and topics celebrate and recognise diversity. Child led learning in itself linking to choices, understanding of each other, personal responsibility, impact of actions etc. Respect features highly to support integrations of many pupils from any different pre-school environments, including some who have not been to any formal pre-schooling. Behaviour (and language) is consistently modelled (as it is across all school) and similarities and differences are actively promoted and celebrated. We ensure the environment is reflective of the pupils as individuals and adapt it in line with their needs. Curriculum – We ensure all objectives of the National Curriculum 2014 are covered through our school based curriculum. A curriculum that actively encourages Pupils to consider the past and aspire for the future. History curriculum particularly enables pupils to develop an understanding of how people in the past have shaped the society we live in today. Through our citizenship work pupils are encouraged to think carefully about the part they have to play in society, now and in the future. History is at times used to explore contemporary issues as they affect pupils today through the lens of the past, including relevant historical context is essential to understanding what it means to be a citizen of the UK today. Examples such as Bristol and the slave trade, strata within society (Romans), class system, British History etc. Geography lessons develop an understanding of local communities including developing pupils’ ideas of roles and responsibilities within in the community, breaking down stereotypes through specific cultural topics and comparative studies. PSHE lessons challenge stereotypes, reinforce rules (including of law), individuality, break down stereotypes, promote respect and tolerance. We discuss ‘learning powers’ with the Children to ensure they develop a clear understanding of the role they have to play as learners. We are developing our use of ‘Think like a learner’ strategies developed by Di Pardoe to promote independent learners in our school. These skills are celebrated with awards in weekly assemblies. RE lessons ensure a secure understanding of the UK as a multicultural society is developed in all pupils. Where tolerance and understanding form a significant element of learning, made explicit in the curriculum where commonalities and uniqueness are explored between all major religions. Art and music lessons ensure a celebration of art in many cultures, unique interpretations of the same event / input, and to value others’ ideas and reflections, teamwork and listening skills. Through music, cultural and historical distinctiveness is learned about and celebrated both through song and instrument. Events and community – Charity fundraising activities are well supported at Bowsland Green (Help the Heroes, Children’s Society, Children in Need, Comic Relief, Sports Relief, Water Aid, Shelter, NSPCC, Christian Aid to name a few) Many of these are supported on an annual basis and we ensure Children have an awareness of current issues and support them as appropriate, the current Ebola crisis for example. A range of celebrations are shared and celebrated, Harvest, Christmas and Diwali for example. Celebrated from a religious and cultural standpoint where languages, culture, similarities and differences are explored. Diversity council have arranged an international food day in the past and families were invited to share traditional meals from their homes, we had a vast array of international cuisine from Thai Green curry to Scones with jam and cream. Pupils have taken part in school trips to broaden their knowledge and understanding of the curriculum being studied. We make good use of our local environment, in particular Savages Wood. We invite members of our community into school to share expertise knowledge with the pupils. Visitors from local business to the police force – people who are able to share their roles in the community. We welcome support from local charities, such as Pets as Therapy who visit us on a weekly basis so children can read to Penny the dog. We ensure we have Images and inspirational work displayed around school that positively address cultural, religious, race, disability, familial, gender and societal similarities and differences in a way that promotes understanding, empathy and unity.